Bray Wanderers equalled their club record of fourth Premier Division wins in a row as they proved too good for struggling Galway United in the Airtricity Premier Division. After Danny O'Connor spurned a clear opening after just 60 seconds when slicing wide when beating the offside, the Seagulls didn't have to wait long to break the dead-lock.Gary Dempsey curled over a third minute corner that met was by Dane Massey who made a ghosting run to the near post. But the ball took a slight deflection off Conor Murphy who diverted it in from six yards. And just like last week's win against Drogheda, Wanderers went two up after just nine minutes. Dempsey was again the provider with another corner from the left wing right footed. This time, it came all the way across to defender Derek Prendergast who bundled the ball in from three yards out with his knees for his first goal of the campaign. Both Jake Kelly and Dempsey were just off target with shot before the half hour and the home side dominated. They went close to adding a third seven minutes before the interval. Another Dempsey corner was cleared to the waiting Kelly on the edge of the box. His first drive was blocked but his follow-up half volley found the top netting. Wanderers continued to boss proceedings in the second period. Kelly pounced on a loose pass in the 55th minute but scuffed wide from 20-yards when space opened up for him. Despite United coming more into the contest, it was the Wicklow side who had another opportunity in the 73rd minute. Kelly outstripped Shaun Kelly along the left flank but sub ShaneO'Neill couldn't get the vital touch to the low delivery. Moments later, O'Neill embarked on a solo run from his own half.Beating three players, he cut inn off the left wing only to denied by Greg Fleming's brave block. free to head into the danger area in the 83rd minute. Kelly turned his marker only to see his driven attempt pushed out by Fleming. The Tribesmen mustered their only chance of note in the 88th minute. Karl Moore's clever back-heel released Shaun Kelly only for Darren Quigley to make a parried save. In stoppage time, Bray nearly added the third score their play merited. Massey's clever pass set up Kelly whose volley on the turn from14-yards hit the far post. O'Neill couldn't force the rebound in while sub Dean Zambra chipped the loose ball wide. The potential sale of state assets was just one of the topics we covered on today’s Morning Show with Declan Meehan. We heard comment and reaction to in relation to forests and bogs from Irish Farmers Journal reporter Pat O’ Toole and Irish Rural Link, CEO Seamus Boland. On Today’s Morning Show we were also joined by kitchen greenie from Greystones, Ruth Murphy who told us the benefits of green smoothies, Money Watchdog John Diskin joined us in studio to give us saving tips and advice and celebrity gardener Diarmuid Gavin dropped in to tell us his plans to give Bray a make-over this weekend. The potential sale of state assets was just one of the topics we covered on today’s Morning Show with Declan Meehan. We heard comment and reaction to this FG Deputy Andrew Doyle and also discussed the future of Coillte with labout Councillor Jimmy O’ Shaughnessy and SIPTU, Energy Sector organiser, Greg Ennis. On Today’s Morning Show we were also joined Holiday Doctor Joe Supple and Dr Graham Fry, Medical Tropical Bureau to discuss the need for proper preventative vaccinations and medications ahead of long haul trips, actress turned author Claudia Caroll joined us in studio to talk about her new book “Will you still love me tomorrow” and NCA Director of Research, Fergal O’ Leary talked to us about the importance of shopping around for home insurance. Yesterdays Nyberg Report on banking was the main topic we covered on today’s Morning Show with Declan Meehan. We heard comment and reaction to this from Irish Mortgage Brokers Association Operations Manager, Karl Deeter and IBOA General Secretary, Larry Broderick. We heard further comment and explanation from Independent TD Stephen Donnelly and Politcial Correspondent Padraig Gallagher. On Today’s Morning Show we were also joined by singer/songwriter Brian Kennedy for a live performance and chat about his gig in the National Concert Hall on Thursday 5th May and food blogger and chef Donal Skehan dropped in for a chat about his new cookbook “Kitchen Hero”. The news of a €3 million euro pay package received by former MD of AIB last year was just one of the topics we covered on today’s Morning Show with Declan Meehan. We heard comment on this from Money Doctor John Lowe and ISME CEO Mark Fielding, we also spoke to FG Deputies Andrew Doyle and Billy Timmins. On Today’s Morning Show we also spoke to addiction counsellor and psychotherapist Donal Kiernan about the growing problem of gambling addiction, we discussed the use of new media in Business with WCEB Business Advisor, Catherine Howard Social Media Consultant, Fiona Ashe and we heard comment on yesterdays miscarriage misdiagnosis report from Brigid Doherty, Patient Advocate, Patient Focus. Lady Gaga is back with a follow up to her huge hit "Born This Way". 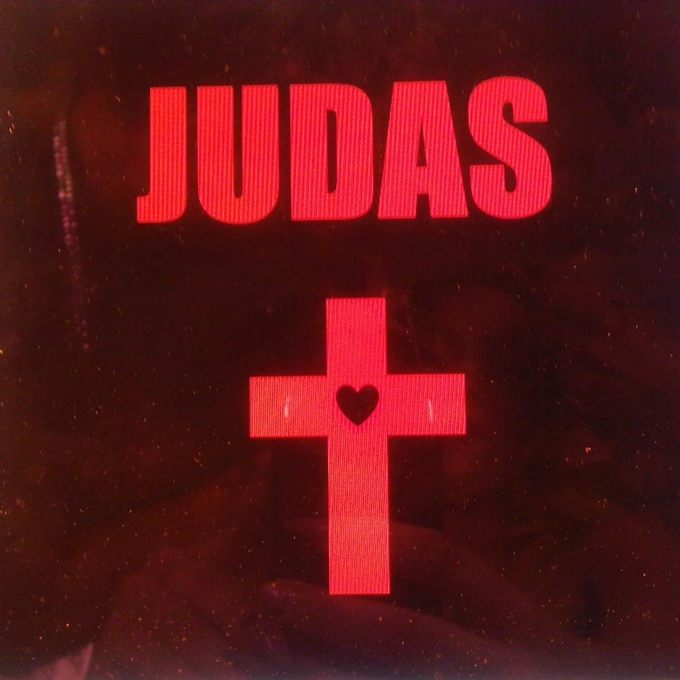 The track is called "Judas" and has a very upbeat dance feel to it.. The single cover was actually taken by Gaga on her iPhone! Tune into East Coast FM to hear! The future of Greystones Harbour was just one of the topics we covered on today’s Morning Show with Declan Meehan. We heard the latest details from Councillor Ciaran Hayden and Local resident Fiachra Etchingham. On Today’s Morning Show we also spoke to MEP Mairead Mc Guiness about euro-scepticism and her decision to run for president, Sunday World investigations editor Nicola Tallent joined us to talk about her book about familicide “Flesh and Blood” and singer songwriter Ryan Sheridan dropped in to perform live.